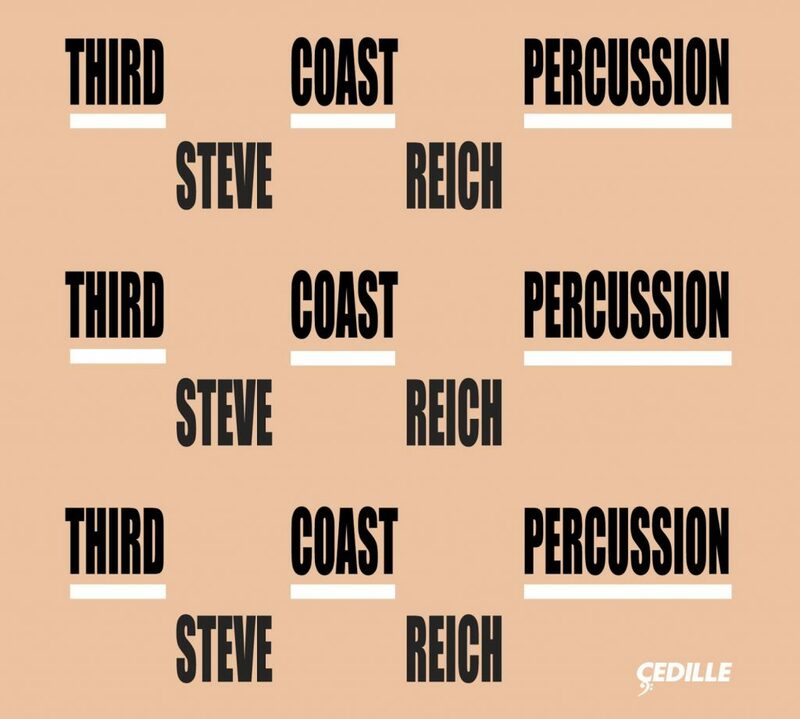 We are honored and humbled to have won this year’s Grammy Award for Best Chamber Music/ Small Ensemble Performance, for our album Third Coast Percussion | Steve Reich, released on Cedille Records. 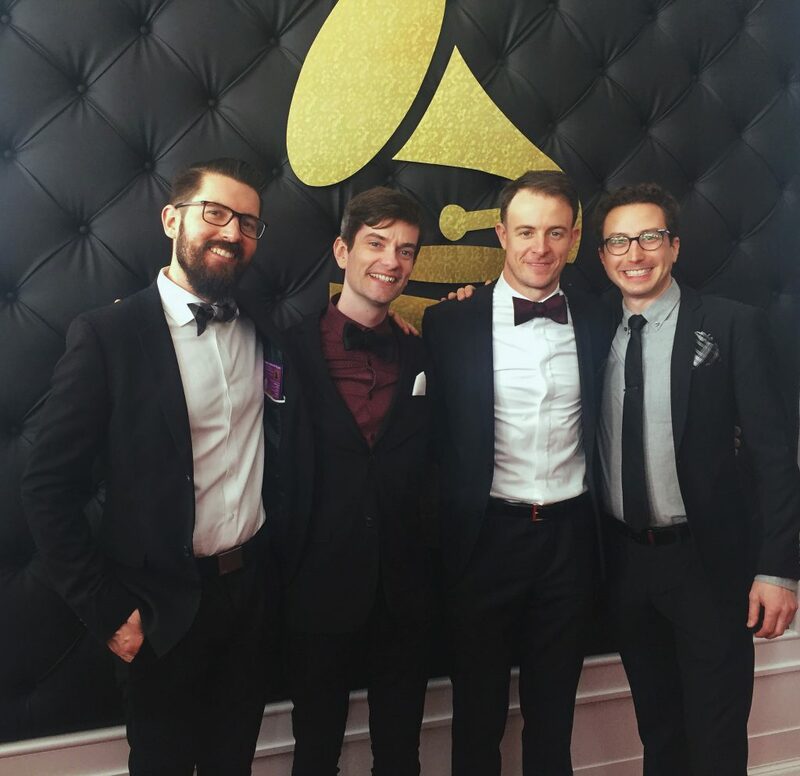 This is our first Grammy win, and it was our first nomination. 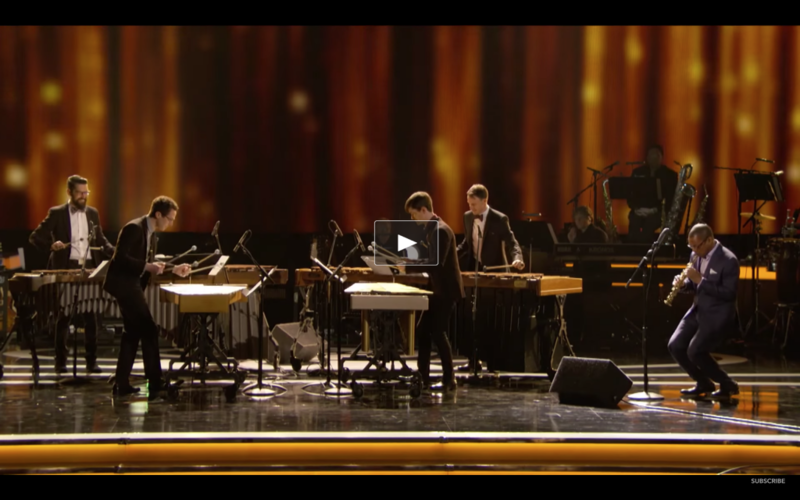 This is also the first time a percussion ensemble has won a Grammy in a Chamber Music category. Our crazy art form has come a long way, and we’re so thankful to our colleagues in the percussion field, our teachers, and all of the great percussion ensembles that have come before us for elevating this music that we love so much. 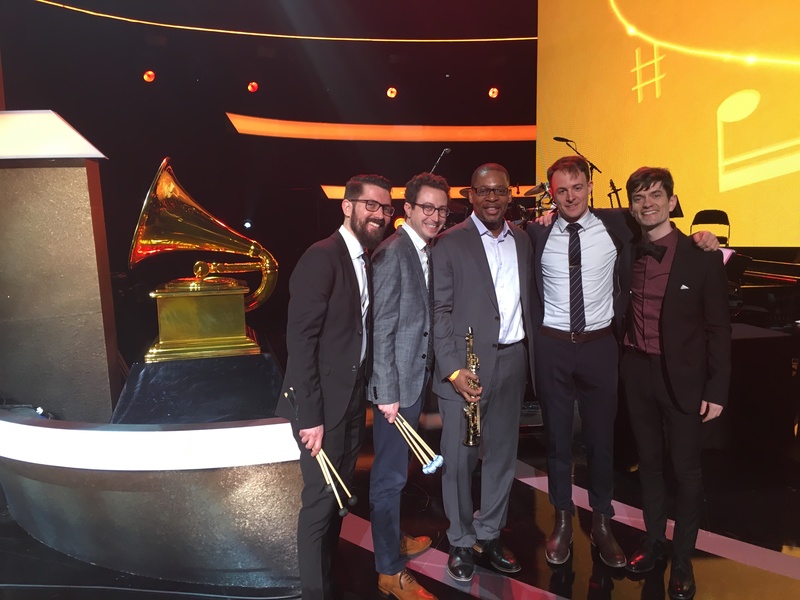 We also had the incredible honor of sharing the stage with saxophonist Ravi Coltrane, who performed with us on the third movement Steve Reich’s Mallet Quartet at the live Grammy pre-telecast performance. It was an unforgettable experience to perform with this exceptional musician. Click here or on the image below to watch the video of the performance. Ravi is not only a phenomenal musician, he is a humble, down-to-earth guy who was an absolute pleasure to work with and hang with. 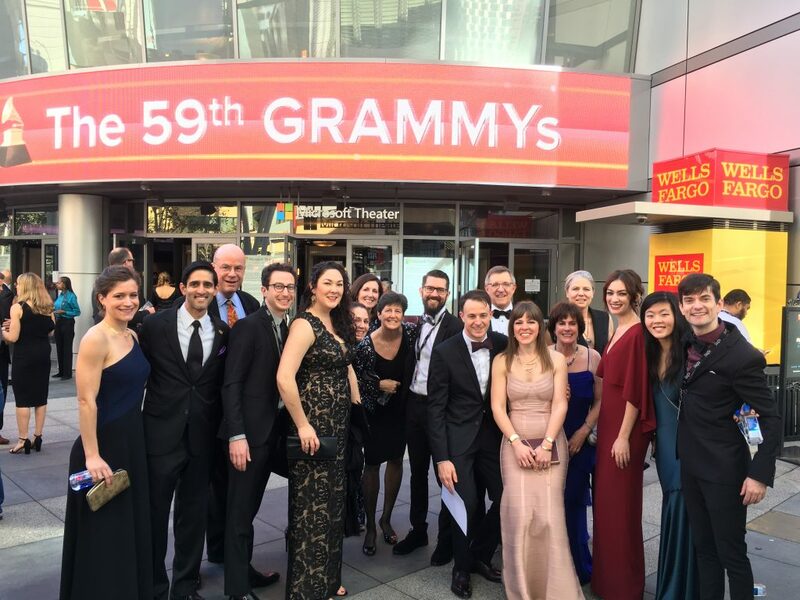 We were fortunate to have our partners, family, our intrepid Managing Director, Liz, and some of our fantastic board of directors with us in L.A. for the festivities. We wouldn’t be where we are without them…plus they look good, don’t they? We also want to thank the incredible team that put this album together: producer, editor, mix, and master by Jesse Lewis, engineer Dan Nichols, assistant engineer Matt Ponio, and additional mastering by Kyle Pyke. Our amazing guest pianists David Friend and Oliver Hagen joined us on Sextet, and our mentor and friend Matthew Duvall joined us on Music for Pieces of Wood. Cedille Records was an absolute pleasure to work with throughout the project. The album was recorded at the University of Notre Dame’s DeBartolo Performing Arts Center, our home-away-from-home. Our managing director, Liz Pesnel, put forth an incredible effort towards this whole project, THANK YOU LIZ! And we also want to shout out our friends and neighbors Sonnenzimmer for the incredible album artwork. 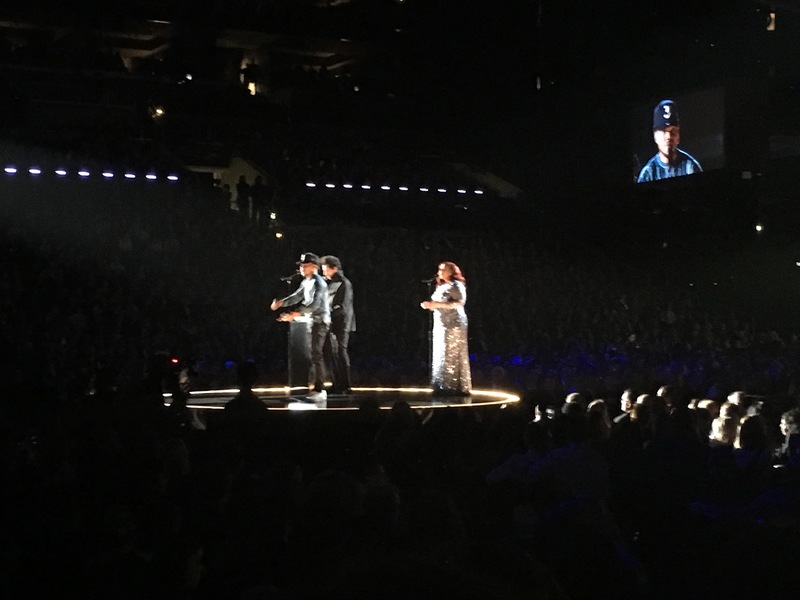 Oh yeah and it turns out we weren’t the only Chicago musicians at the Grammys.